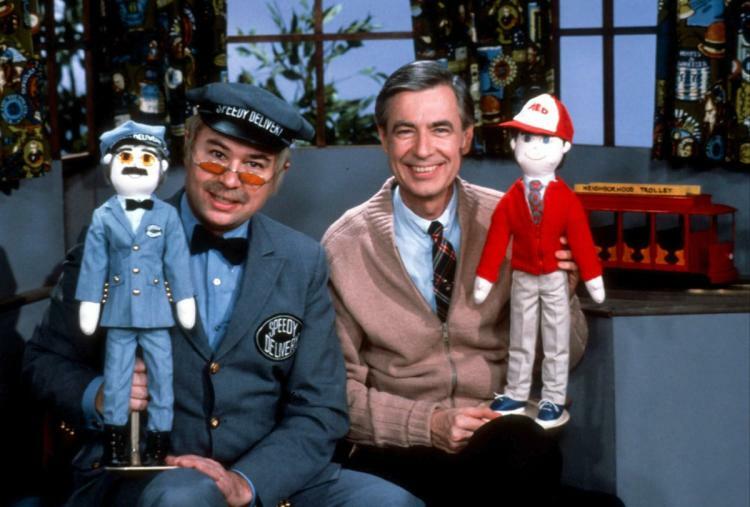 Fred McFeely Rogers, known to tens of millions of people around the world simply as “Mr. Rogers,” is considered one of the kindest and most inspiring men of recent generations. 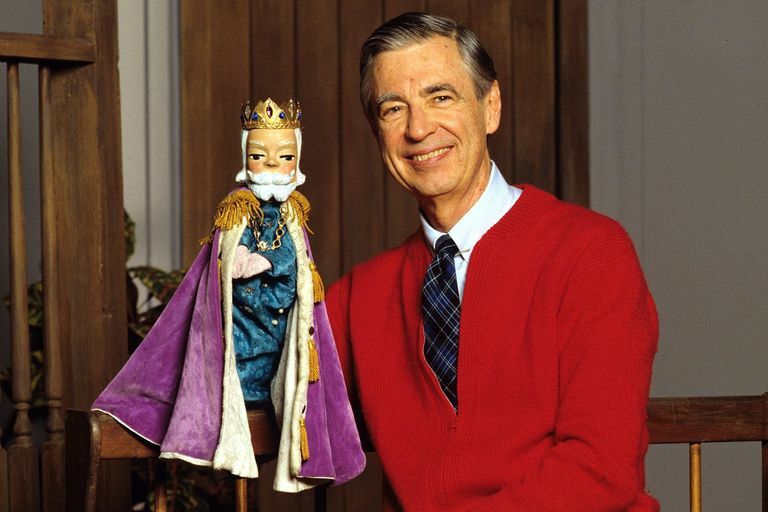 Through his incredibly popular PBS TV series Mr. Rogers Neighborhood, he inspired millions of children to foster their imagination and develop the skills they needed to be better people. 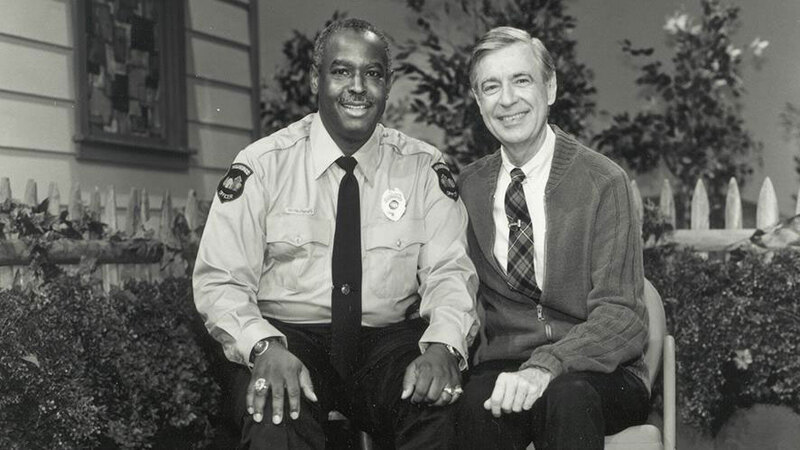 Sadly, Mr. Rogers passed away on February 27, 2003, but the legacy he has left behind is the stuff of legend. We wanted to keep his spirit alive so we’ve collected some of the most incredible and inspiring quotes and stories from this amazing man’s truly remarkable life. 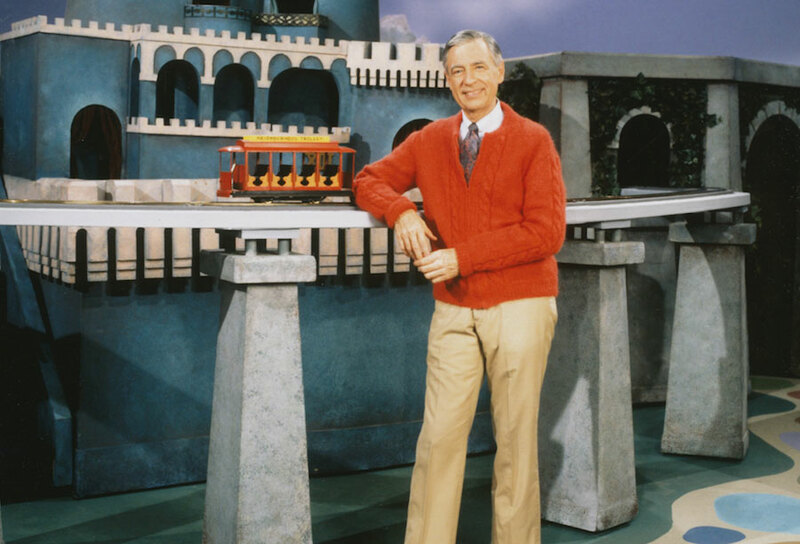 Mr. Rogers had help growing into the man he would eventually become. It was his own mom who showed him how to view the world in a beautiful and positive way. 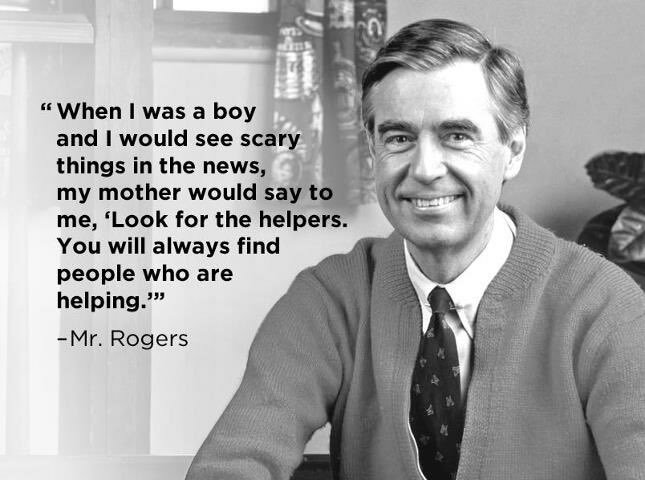 When Mr. Rogers would see something scary on TV his mother would say “Look for the helpers. You will always find people who are helping.” Mr. Rogers would go on to spend his life as one of those people who were always there to help. He was eventually inducted into the TV Hall of Fame and won numerous Emmy’s for his work on one of the most heralded PBS TV series of all time. He is truly missed. Mr. Rogers Explained Exactly Why He Likes YOU! Mr. Rogers wanted everyone to understand what it truly means to like someone for more than how they talk, or hear, or touch. We will struggle today to come to terms with the very message Mr. Rogers has been spreading for decades. 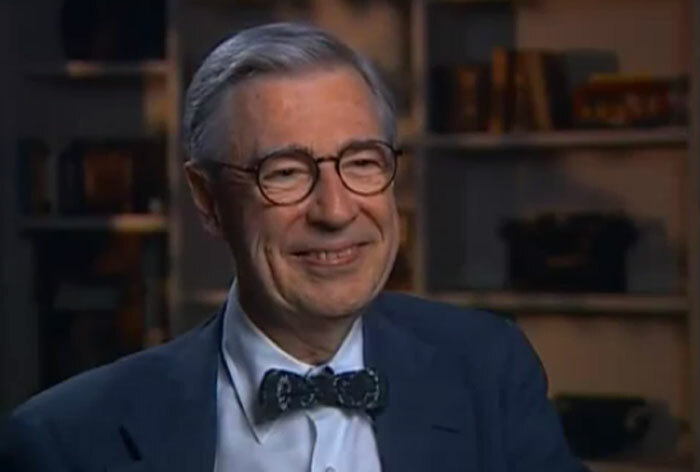 One of the most amazing parts of Mr. Rogers’ life was that he didn’t walk around with rose colored glasses on. Instead, he wanted us to realize that we have to work hard at love, life, and happiness. “Love isn’t a state of perfect caring. It is an active noun like “struggle.” To love someone is to strive to accept that person exactly the way he or she is, right here and now,” he explained. That’s a lesson all of us can learn from as we grow older, with the people we fall in love with and care about. Fred Rogers understood that every person we meet can benefit from our time together and we can learn and grow because of them. He encouraged people to “leave a part” of themselves in every meeting. We have the ability to touch the lives of so many people and Mr. Rogers wanted us to take advantage of that — not for ourselves, but for the benefit of others. Mr. Rogers wanted us to realize that civic duty shouldn’t be taken for granted. Everyone needs help from time-to-time and he attempted to fuel that idea with an amazing quote. As we see time and time again, Fred Rogers was an incredibly giving man! It’s Not The End. Ever. Life, work, school, there are a lot of endings that we face on a regular basis. Mr. Rogers never looked at anything as finite. Instead, he believed one ending was the opportunity for something new. This was an important concept for Mr. Rogers who often spent his episodes helping children deal with such topics as death and divorce. 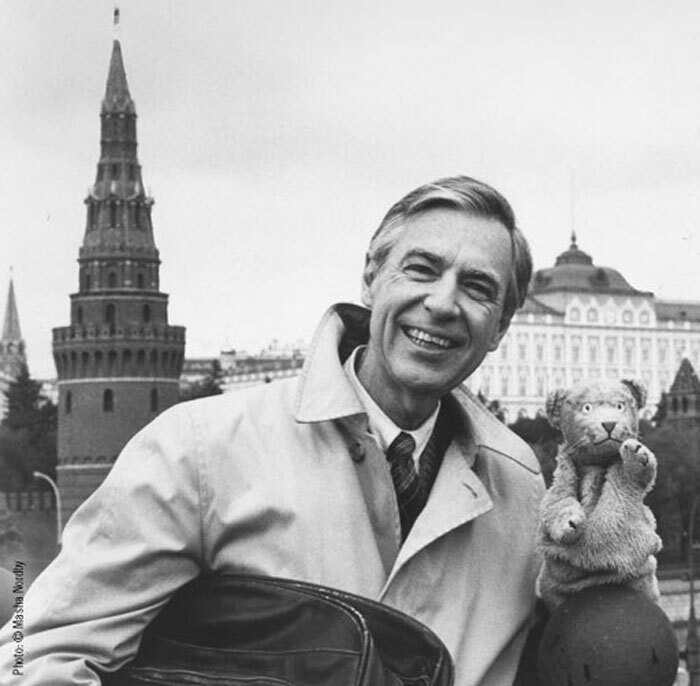 Mr. Rogers realized that peace could only be achieved if we actively engaged with other people, understood their point of views, and worked together to change the world. He tackled tough subjects in a positive way that allowed his viewers to see the world in new ways. He also believed we need to work on what can be DONE right now and not just focus on what COULD be. Our current world climate could certainly use Mr. Rogers’ sound logic. Have you ever noticed that Mr. Rogers started every one of his TV shows by speaking directly to the camera and his young viewers? His soothing voice and ability to slow everything down was an important part of his philosophy. “Solitude is different from loneliness, and it doesn’t have to be a lonely kind of thing,” he explained. 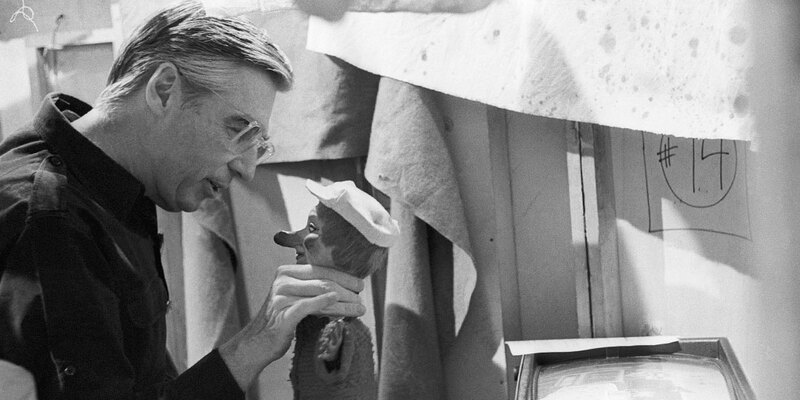 Mr. Rogers realized early on that even children need a moment to calm down, unlike children’s shows today that are non-stop action-packed spectacles. Quiet introspection can be a very grounding experience and is something we can all benefit from occasionally. Fred Rogers was a deeply religious man but his views were not along the lines of mainstream America at the time. He openly spoke about how he believed everyone was a reflection of God. For that reason, he refused to condemn homosexuality, even at a time when it was par for the course. Despite his deep religious convictions, he didn’t use those beliefs to influence his audience, focusing instead on the best in people with the hopes they would find their own way in a respectable manner. He truly was a one of a kind person and an amazing role model for the children he shared his TV home with nearly every day. As TV show producers and major studios fought against the ability to record shows on VHS, it was Mr. Rogers who stood up for the average American. Fred Rogers appeared in front of Congress to explain to America why recording TV shows should be considered fair use and important for the average American family. Rogers argued that recording TV shows allowed entire families to sit down together, watch their favorite shows, and generate a dialog. His amazing testimony is hailed as one of the main reasons Congress decided not to move forward in a battle against VHS providers. 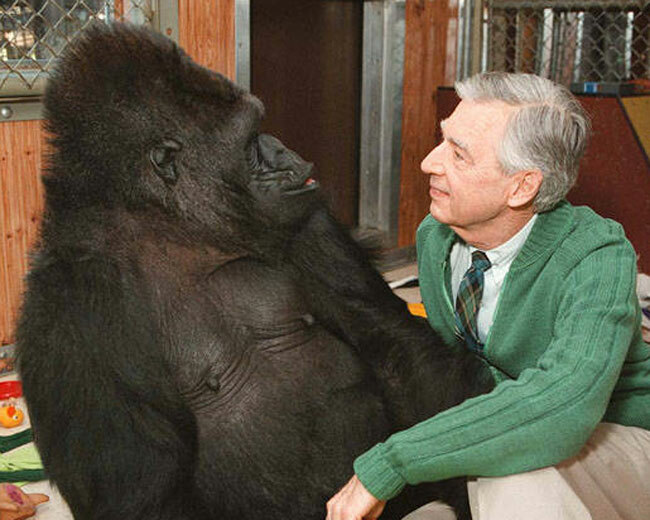 Many fans of Mr. Rogers are sure to remember the time Koko the gorilla appeared on his TV show. What you might not realize is that the loving man and his gorilla buddy actually developed a lifelong friendship! Caretakers for the world famous gorilla revealed to the world that Koko loved to watch episodes of Mr. Rogers Neighborhood. Mr. Rogers even considered the animal to be one of his children. When Fred Rogers passed away in 2003, Koko and her team bid a final farewell to a man they considered to be family. If you have seen this picture floating around the internet you should probably know the real story. 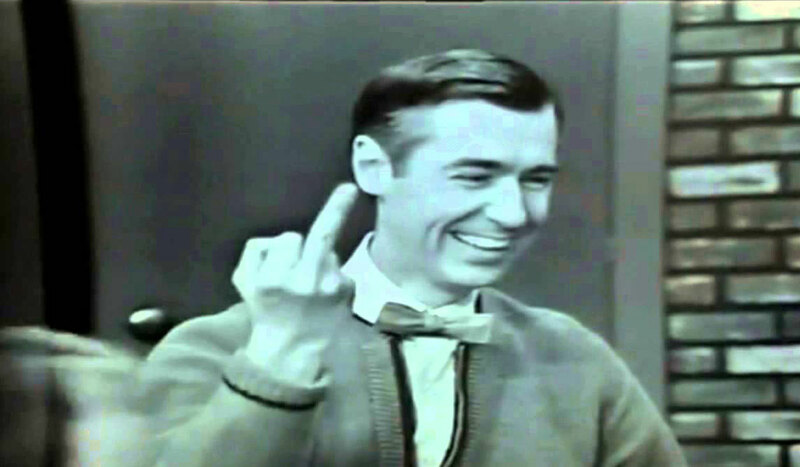 Mr. Rogers was not flipping off a cameraman. Instead, he was singing a song about numbers with a group of children. Being the man he is, Rogers probably never thought about the middle finger being used for the wrong reasons. It’s pretty obvious in the clip that he is surrounded by children and singing some type of song. 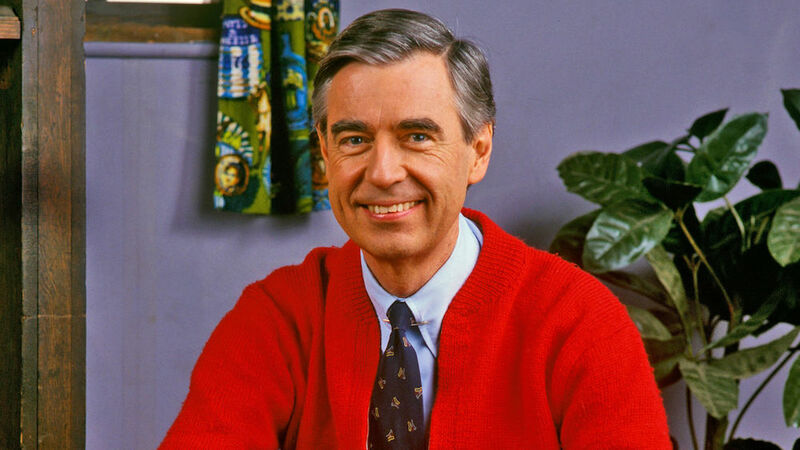 Come to think of it, we can’t think of a single incident in which Fred Rogers didn’t act with the utmost decency available to all of us. 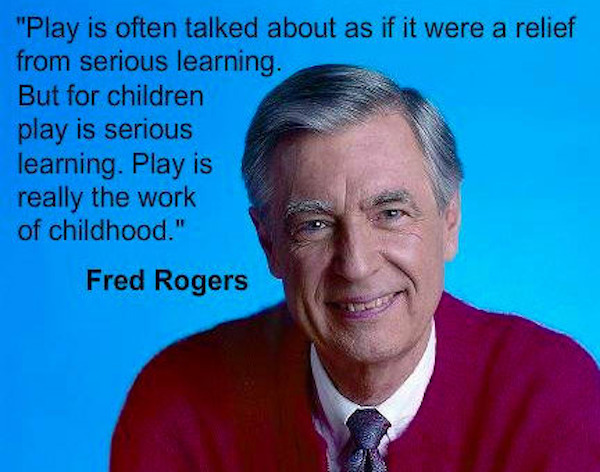 Mr. Rogers understood that children learn through play. While many people at the time claimed that playing was “relief” from learning, he took a much different approach. 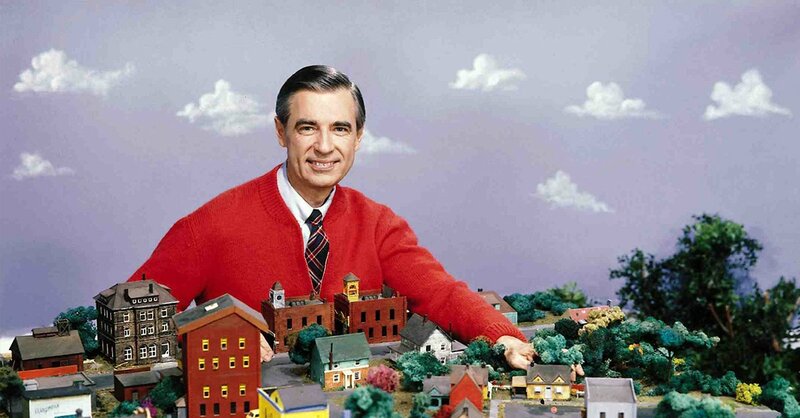 Fred Rogers used to play throughout his TV show to teach children about opening up their mind to new things. He played games, sang, and interacted with his audience in fun and inventive ways. 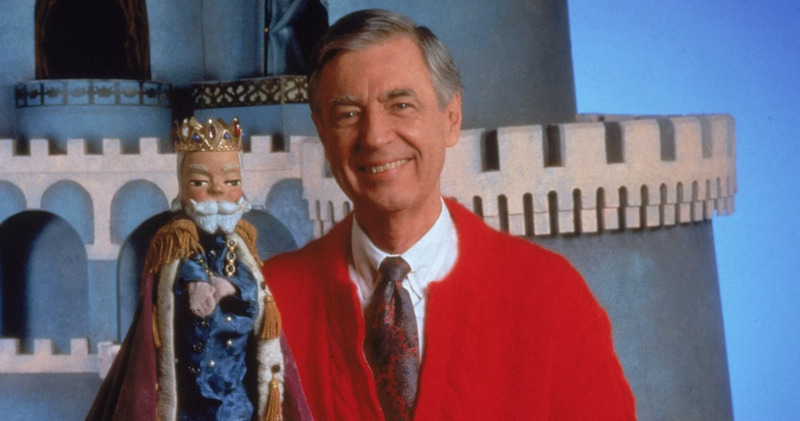 While Fred Rogers didn’t spend a lot of time talking directly about his own family, he did pay homage to them throughout this PBS children’s show. 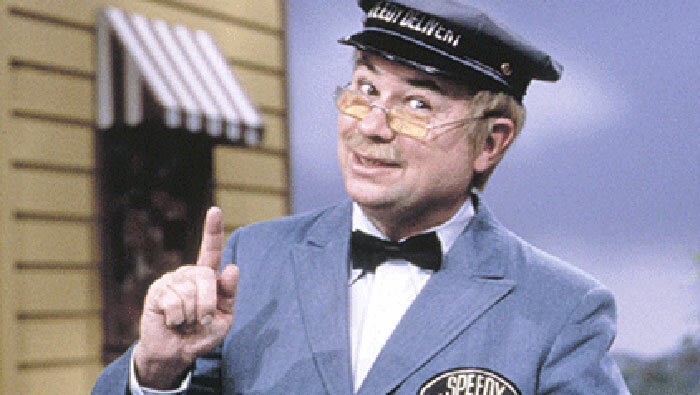 The character Mr. McFeely was actually named after a relative. 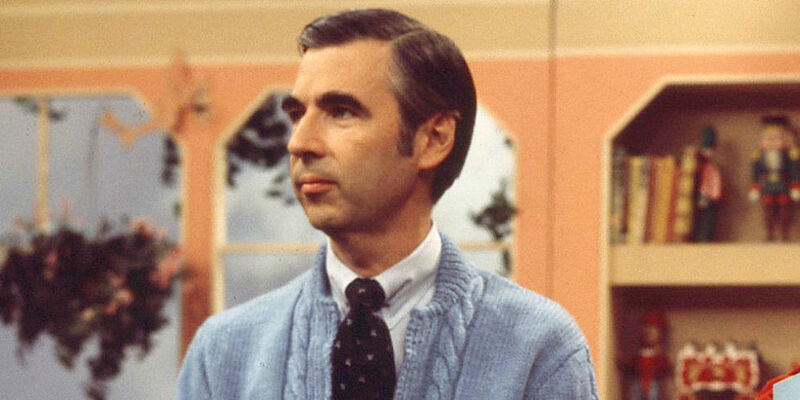 In fact, many of the characters that appeared throughout the years were named after Mr. Rogers’ family members. It was his own way of showing his love and respect to his own family. How cool is it to have the real world name “McFeely.” Rogers truly was a remarkable man who practiced exactly what he preached on his TV show. In 1981, an audio recording of Mr. Rogers arguing with his wife surfaced. 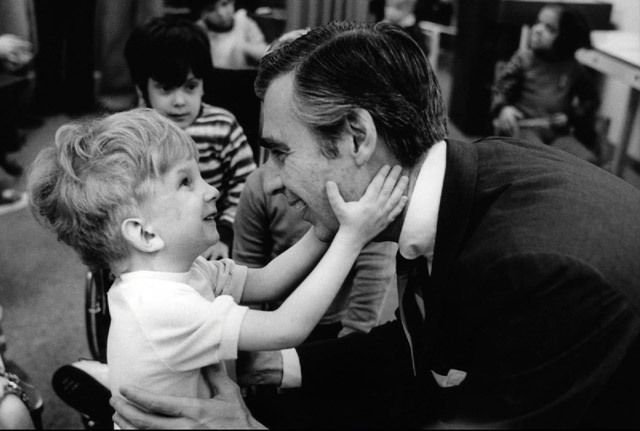 Even in his personal life, Mr. Rogers chose to take the high ground and remind the people he loved the most about how much they matter to him and how much he cares. So now you know what it’s like to get into an argument with Fred Rogers. Wow. 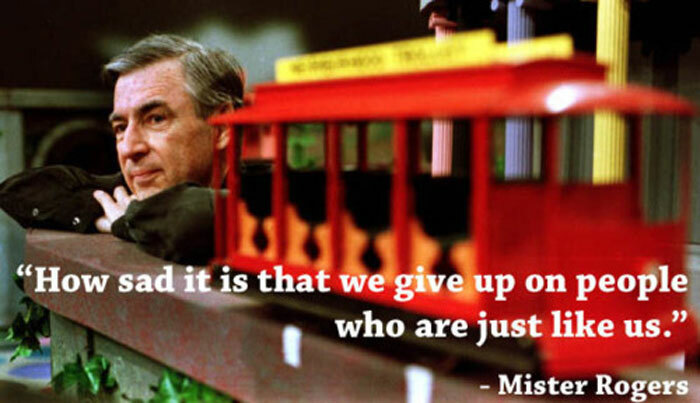 Mister Rogers had a philosophy that we should all abide by. He believed that we give up on people too quickly without really thinking about that person and who they are. It’s a great reminder that sometimes you need to step back from a situation, think about the other person, and then come to an understanding about how they feel and who they truly are. These are definitely words to live by for everyone. As one of the most beloved characters on TV, Mr. Rogers spent hours out of every day personally responding to fan mail and attending gatherings. Even with everything going on in his life he managed to maintain an exact weight of 143 pounds every day for 30 years. Writer Tom Junod later explain that Mr. Rogers grew up as a chubby child and decided to watch his weight. Not only did Mr. Rogers save VHS recording technology, he also single-handedly saved public broadcast television. Sitting in front of a bunch of hardened politicians he explained exactly why children needed to be given hope in order to become better citizens. After his testimony ended members of Congress sat down to discuss the deep cuts they were planning for PBS. Instead of cutting the networks $9 million they increased spending to $22 million. New TV shows would eventually be produced and inspire millions of additional children because of Fred Rogers’ brave and incredibly civil confrontation with members of the U.S. Congress. Mister Rogers was incredibly hard to interview. No this wasn’t his one diva vice. In fact, it was exactly the opposite. When sitting down with reporters he would genuinely become interested in who they were as a person. Eventually, the conversation would turn to the reporters family and then a picture taking session would occur. Mr. Rogers would then create a photo album of their time together and deliver it to their home. As the months and years went on he would continually reach out to the report he befriended to check in and hear about their families. Mr. Rogers was on a trip to New York when he attempted to hail a taxicab. When no cars were available he hopped on the subway to reach his destination. The beloved TV personality thought he would go unnoticed but there was very little chance of that happening. When passengers on the subway spotted him, they all burst out into song, singing the theme to Mr. Rogers Neighborhood. He responded to the on the spot adoration with a big smile, probably because he realized his teachings were in the hearts and minds of the people who grew up watching his TV show.